Presented report detects the most valued sales orders for top yearly customers. On the other hand, the report shows the quality of continuity deals with customers. For example, we can have one high net sales value order and none, one or two low valued per year. Also, we can monitor year over year sales (dis)continuity of the most valued customers. In general, this is the way for recognizing a deviation from our strategic direction. I am using an anonymous block to reduce complexity of SQL statements. The resulting application program is easier to understand without sacrificing performance. All SQLScript statements supported in procedures are also supported in anonymous blocks. The CONVERT_CURRENCY function provides an efficient method to calculate values in different currencies. 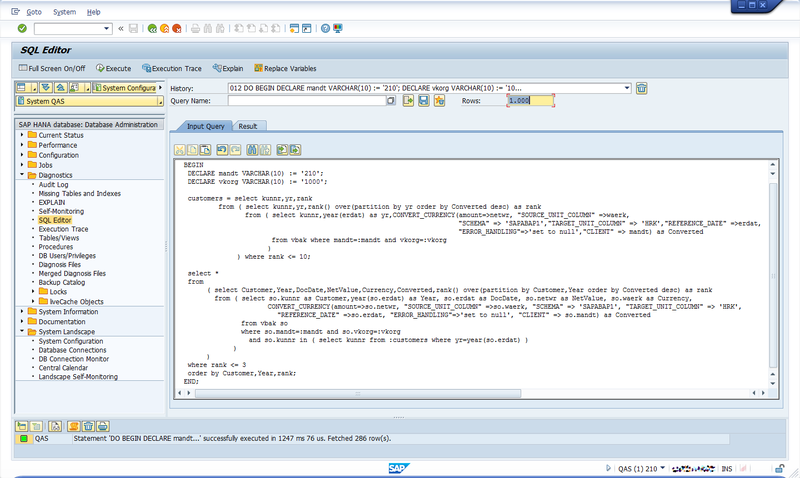 It uses conversion tables from a SAP ERP on HANA system. 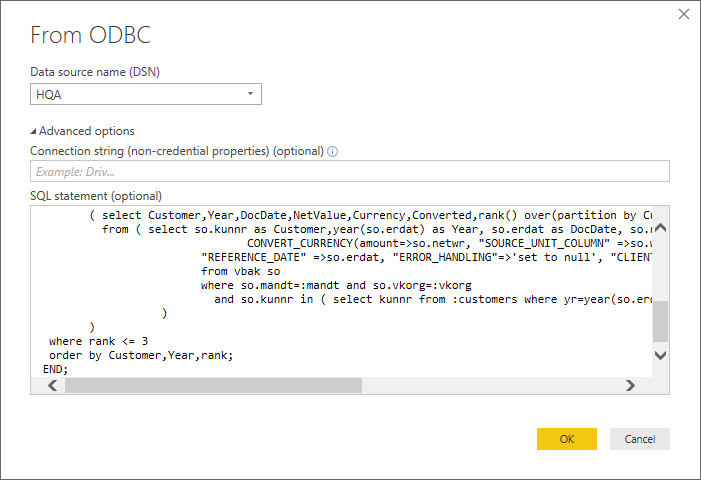 We can use PowerBI, as shown in the following pictures. If we have an active/active SAP HANA system replication, we can use a hint RESULT_LAG to route the statements to a secondary site and thus take advantage of a secondary system for better overall performance (see my blog SAP HANA Active/Active (Read Enabled) System Replication) .